A Local City Guide created by our Staff! 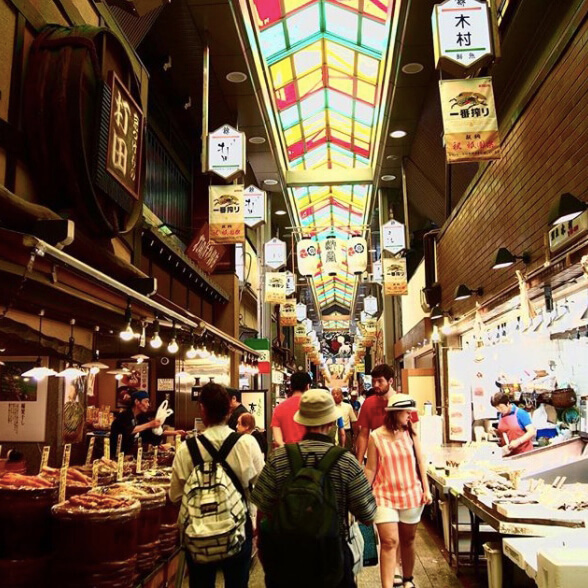 There's so much to try at Nishiki Market! Matcha desserts, fresh seafood, pickles and more. I recommend the soy milk mini-donuts. It's only a 15-min. walk from "Asagi-an". You'll recognize the market by its colourful glass ceiling. Kyoto is breath-taking in the spring. 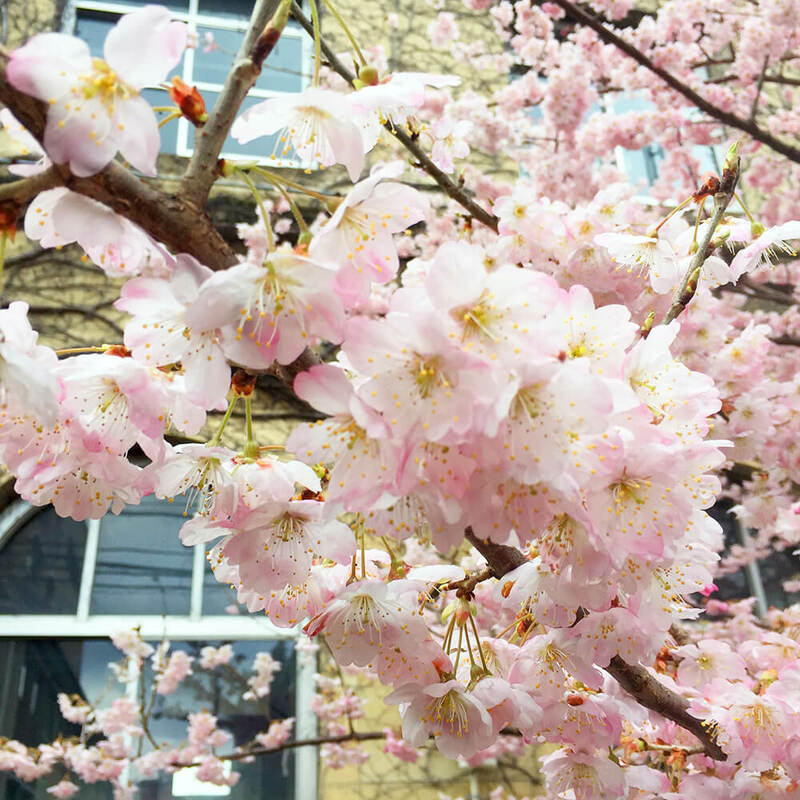 Just a block away from "Asagi-an", I saw my first sakura of the year. Locals love to head to the park and river for a picnic under the sakura. If you're here during the blooming season, grab a bento and go! 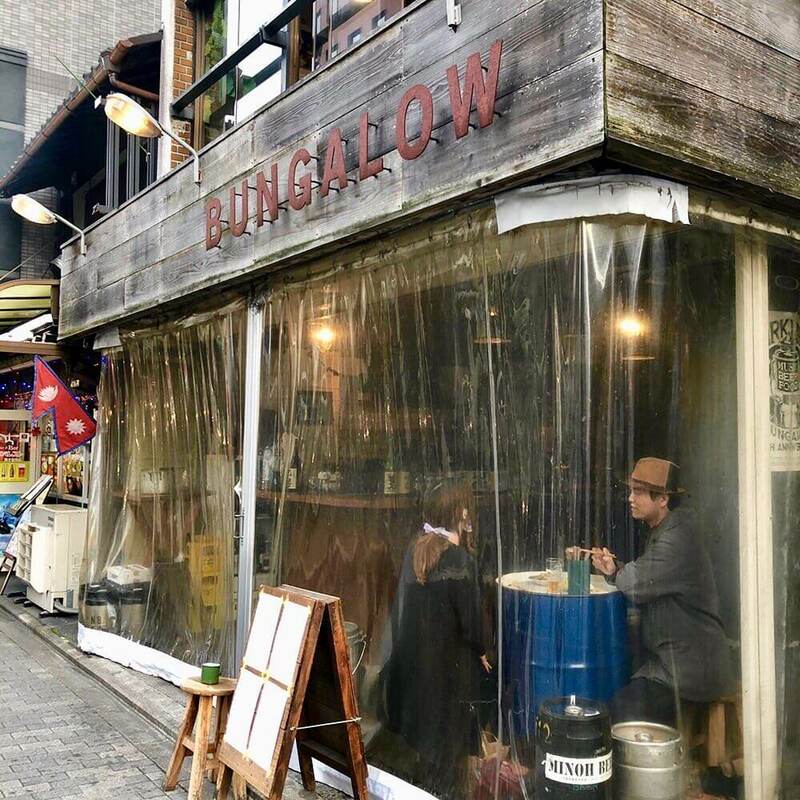 I go to 「Bungalow」for the crisp craft beers and mouth-watering tapas-style dishes such as their cardammon chicken. There is a rotating menu of about 10 Japanese craft beers - there is something new to try every time! Kyoto is famous for its sweets. 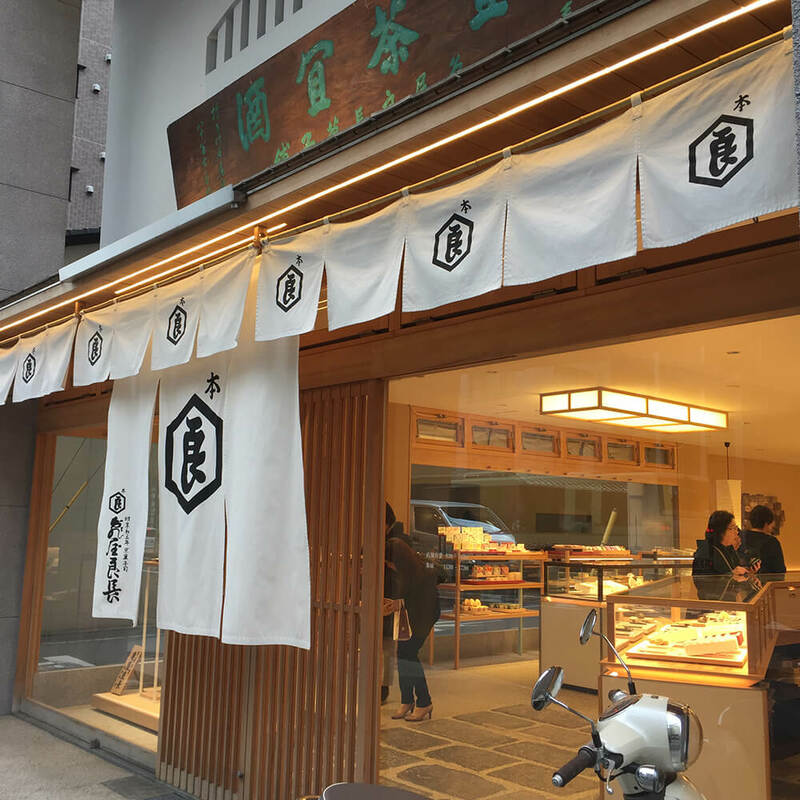 「Kame Yoshinaga」is a wonderful shop with delicate, beautifully wrapped confections. I bought the brown sugar and persimmon sweets as a gift. They're great souvenirs! Just a 3-min. walk away. One of my favourite spots is the Kamogawa River. 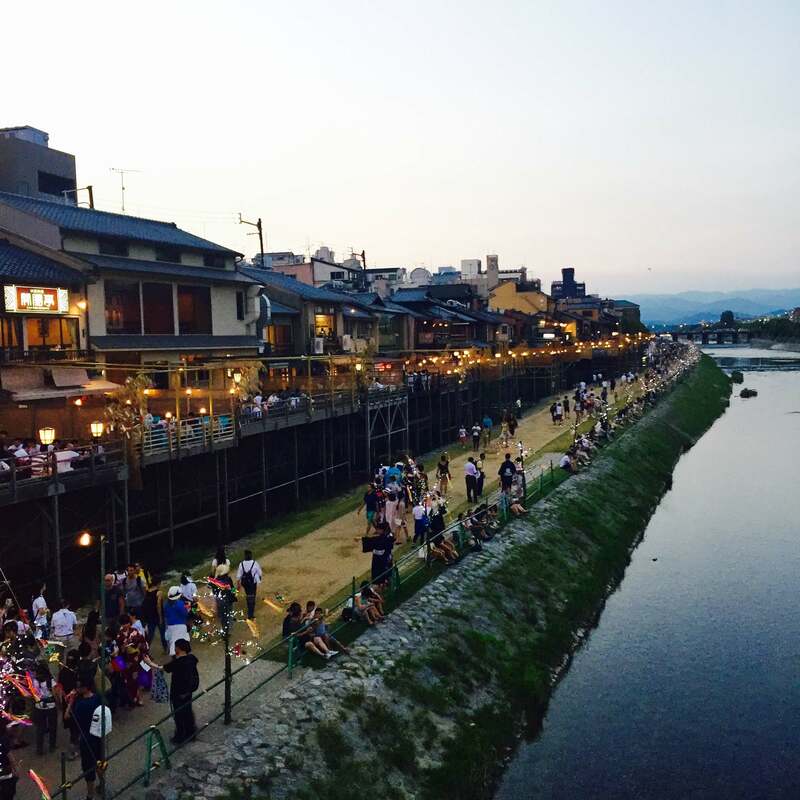 It's a great place to people-watch, rest in between the day's adventures and take in the atmosphere of Kyoto. If you're on the way to Gion from "Asagi-an", you're sure to come upon it! A 15-min. walk from the former imperial palace, Nijo Castle, you can feel Kyoto's rich history at "Asagi-an". 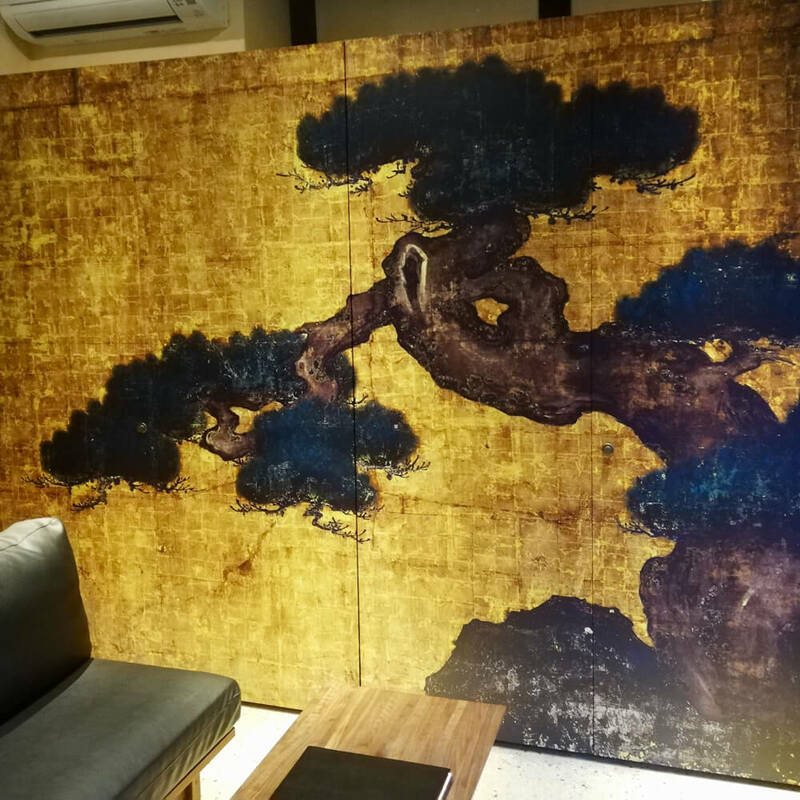 There is a replica of a mural found in the castle's 'Ohiroma' great hall. And more, you can pull back the art to reveal the kitchen! 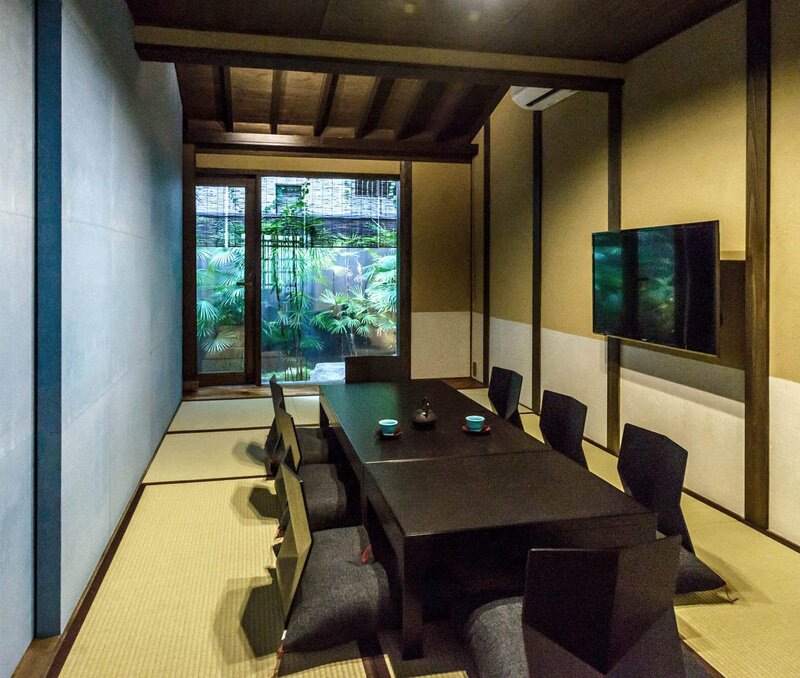 Use the hashtag #machiyagram, and share your machiya memories with us! Inspired by invigourating "asagi" turquoise blue, a 10-minute walk to the central Shijo subway Station. #machiyastories Check-in with our Guests. Hear about their experiences.